In the lines above, a teenage Adrian Finn responds to his history master’s question about who was to blame for the start of World War I. 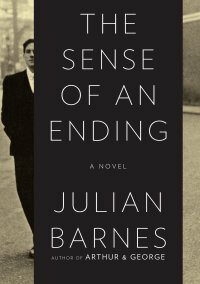 But in these lines, he also poses one of the central issues of the novel in which he appears, Julian Barnes’s The Sense of an Ending. The narrator of the novel, Tony Webster, is now in his sixties and has become a historian of his own life. He’s looking at original documents, speaking with eyewitnesses, and digging deep into his own memory to try to understand, and assign blame for, a tragedy that occurred years earlier but that has implications that have only now come to his attention. However, Tony is naturally not going to be the most objective historian, and the more we—and he—learn about his past, the murkier it becomes. Tony’s classmate Adrian Finn is one of the objects of his interest. Adrian was part of Tony’s set in school, but he was also very much his own man. He was extremely clever and never willing to settle for the easy and expected answer, at least that’s how Tony remembers him. Tony himself reminds us repeatedly that he’s only sharing his best recollections. He can’t necessary be relied upon. My only complaint about the novel is that these reminders of Tony’s unreliability are too frequent. Subtle he is not. Also of interest is Tony’s college girlfriend, Veronica. The dissolution of their relationship left Tony with some extraordinarily hard feelings, and his final words to her become part of the long chain of individual responsibilities that led to tragedy. But is he the final link in the chain? Is it possible, years later, for him to ever know? Memories fade, documents are destroyed, people lie to each other and to themselves. And the truth gets harder to find. 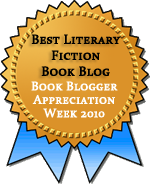 The ending has been controversial among readers. In fact, it was Susan’s recent post about the ending that led me to get this from the library. (I should note here that I didn’t read her post in full until after reading the book. I just read enough to learn that it’s ambiguous and open to wildly different interpretations—that was enough for me.) I’ve now read Susan’s post and several others, and I think that Barnes leaves all the doors open. Tony comes to a conclusion, but we have every reason to believe that Tony is an unreliable witness, even when he’s trying to be truthful. He forgets, sometimes conveniently and sometimes not. A lot of the time, he sees what he wants to see. He’s not a bad person for this. It’s natural enough, I think. But it also means he can’t be trusted, and he’s pretty much all we’ve got in the way of sources. At just over 170 pages, The Sense of an Ending can be easily read in one sitting, but it raises enough possibilities to fill a much longer book. It raises possibilities, but it doesn’t resolve them. That’s the book’s genius. We get the ending Tony chooses to believe. We readers can choose differently—or enjoy the ambiguity. Whenever I read something like ‘At just over 170 pages, The Sense of an Ending can easily be read in one sitting’, it makes me wonder how I ever became a literary person. I’ve never been able to sit for longer that 20 pages max even if it’s an excellent book’. Heh. If a book is drawing me in, I can usually read for hours without a break, but the number of pages I can read depends on the book. The 170-ish pages of this read really quickly. I actually read the e-book, and I was very surprised that it was so many pages in print. I think it took me two hours, and I’m not an especially fast reader.